3716 Dunbarton Dr, Mountain Brook, AL.| MLS# 820004 | Richard Jacks UABLIVING.com 205-910-2297 | Birmingham AL Real Estate | Contact us to request more information about our Homes for Sale in the Birmingham AL area. So much convenience, so much more. With a host of amenities, an enormous backyard, STUNNING kitchen (renovated 2017), and spacious downstairs, there's a lot you'll love about this home. Add a huge outbuilding perfect for upgrade to an office, workshop, or children's play area, and your possibilities become endless. 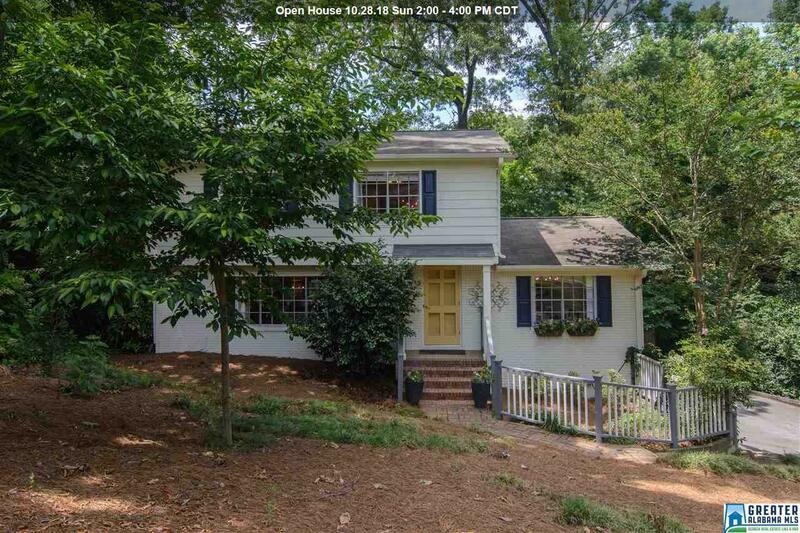 Convenient to 280 and 459, the Summit, Overton Park, and zoned for the Blue Ribbon named Brookwood Forest Elementary, this home sets the standard for affordable Mountain Brook living. Notable updates: Roof (2012), driveway (2013), water heater (2016), new smoke/carbon monoxide detectors installed/hard-wired (2017). Driving Directions: Hwy 280 To Overton Rd At Water Works. Follow To Y, Go Left. Take 1st Right Onto Dunbarton. Go Through 4 Way Stop. House Will Be On The Left Or Overton Rd To Locksley. Right Onto Dunbarton At 4 Way Stop. House On The Left.